Eden Hazard has once again flirted with the possibility of signing for Real Madrid, even with childhood hero Zinedine Zidane having departed the club in the summer. Eden Hazard has been linked with a move to the Santiago Bernabeu for what feels like a decade. Signing for Real Madrid is always thought to have been his dream, even if he has been given everything by Chelsea and our fans since signing along the dotted line in 2012. With Zinedine Zidane, Hazard’s childhood hero, being in charge of Real Madrid for two-and-a-half-years, and winning three Champions League trophies during that period, we all thought that a move to Madrid was only a matter of time. We were wrong. Though speculation was continuous, Hazard remained a Chelsea player. With his contract running down, though, things may be different this time around. He will have one year on his deal come the summer, and he’s still flirting with the current European champions. Though in the same interview Hazard reiterated that he could stay at Chelsea, it’s not going to prove to be sufficient reassurance for us fans. 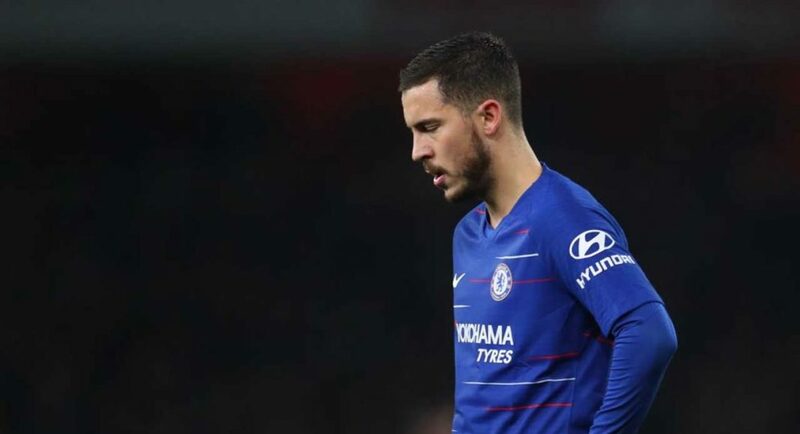 With the current state of the squad, we really are in for a tough ride if Hazard does decide to leave us in a few months time. Stop panicking!!! he’s as good as gone we’ll just have to be Chelsea after Hazard. Him and Odoi if they think think the grass is greener on the other side of the fence let them piss off.